QiGong classes start up again at Rockway Community Centre! 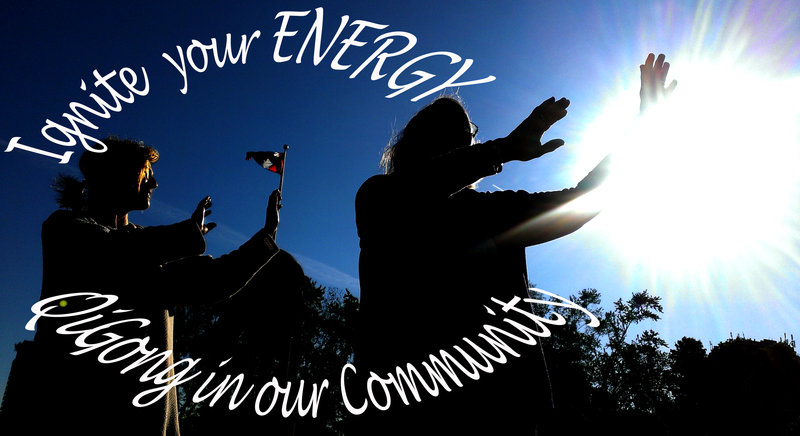 Come and join us …practice QiGong in community! Wow – Welcome to this month of September 2015! 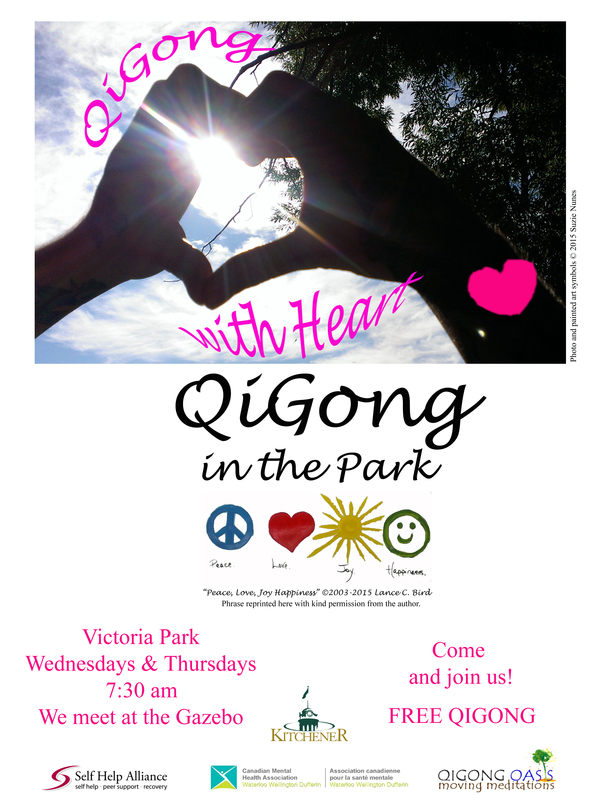 Come and join us at Victoria Park for QiGong in our wonderful community! Wednesdays and Thursdays 7:30 am all month. 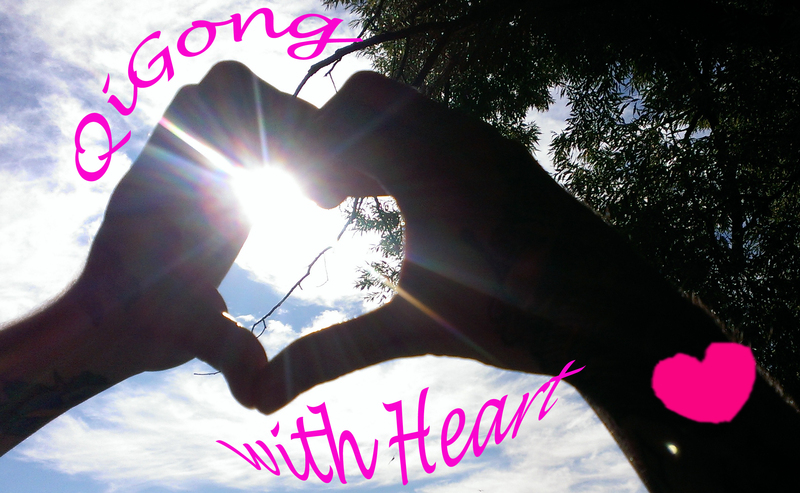 to practice QiGong in the park. 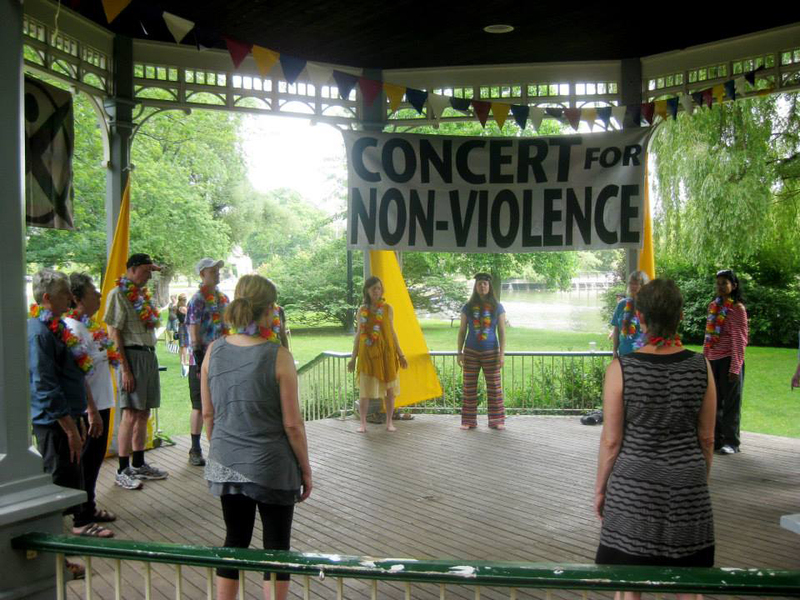 Wonderful experience practicing QiGong in community at The Non Violence Festival last Saturday. 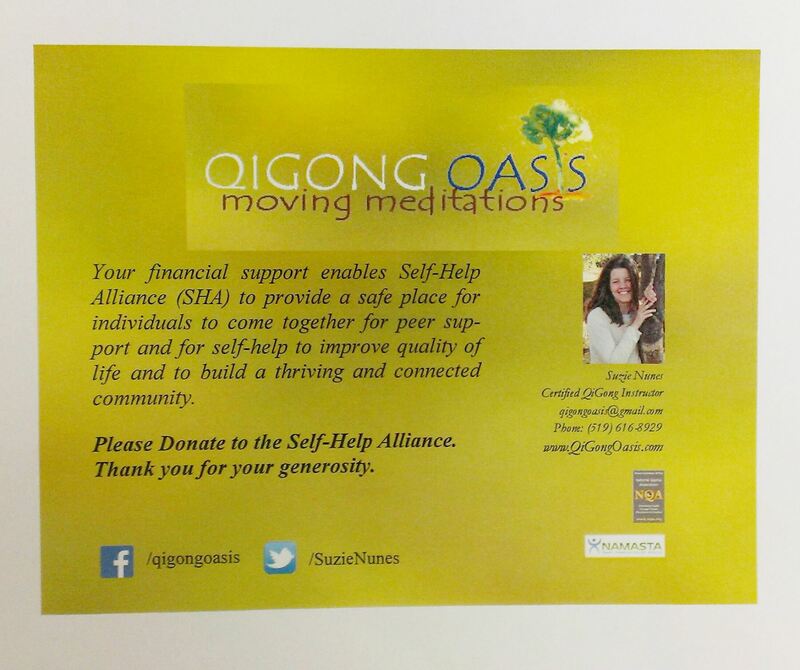 Thank you for all your donations to The Self Help Alliance!!! Hello Every ONE of you! 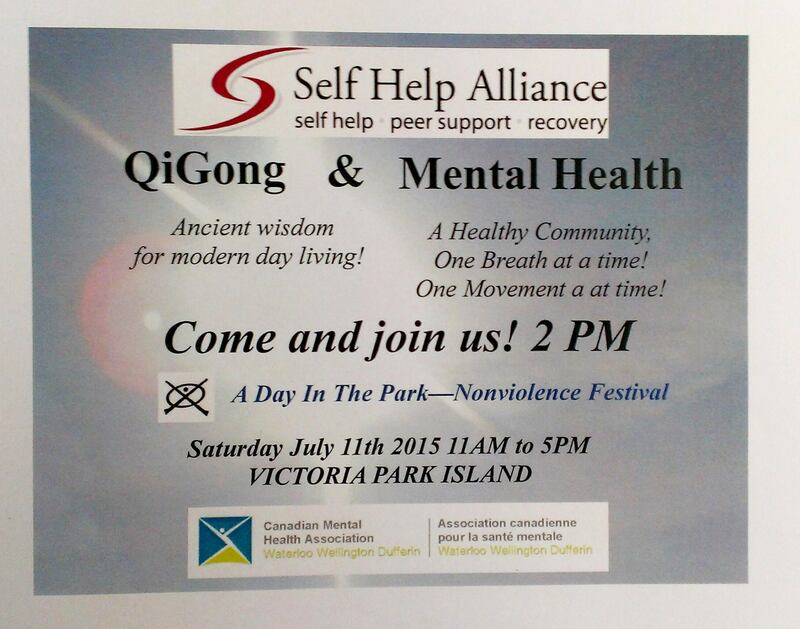 This coming SATURDAY, July 11th, at 2:20 pm precisely, at Victoria Park Island in Kitchener, the day of the Non Violence Festival, you are invited to participate and to experience the practice of QiGong in our community. Together! OUTSIDE! In AMAZING GREAT weather! 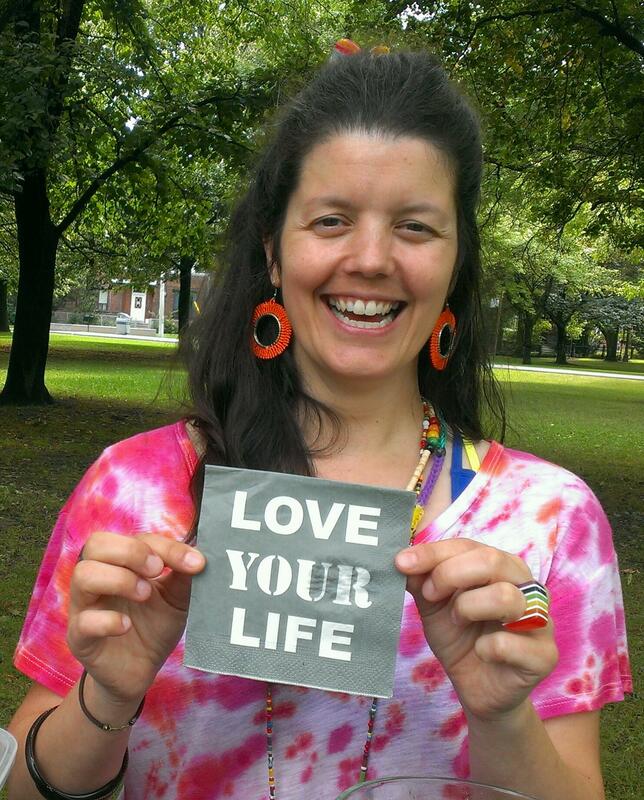 This is an opportunity to create community through moving meditations. I have been volunteering at the Self-Help Alliance for 4 years now, and it has transformed my life and many other peoples’ lives and it is a privilege to continue to be part of a great organization! My goal is to raise $1000. Your financial support enables Self-Help Alliance to provide a safe place for individuals to come together for peer support and for self-help to improve quality of life and to build a thriving and connected community. 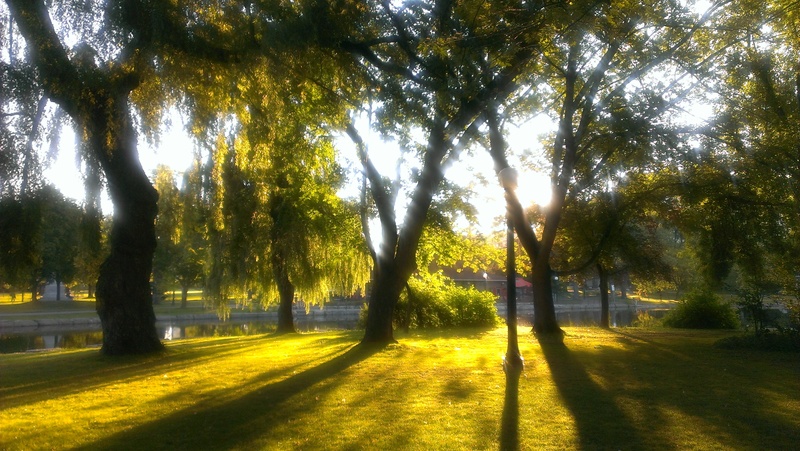 Every Tuesday & Wednesday 7:30 am at Victoria Park in Kitchener, at the Clock Tower.